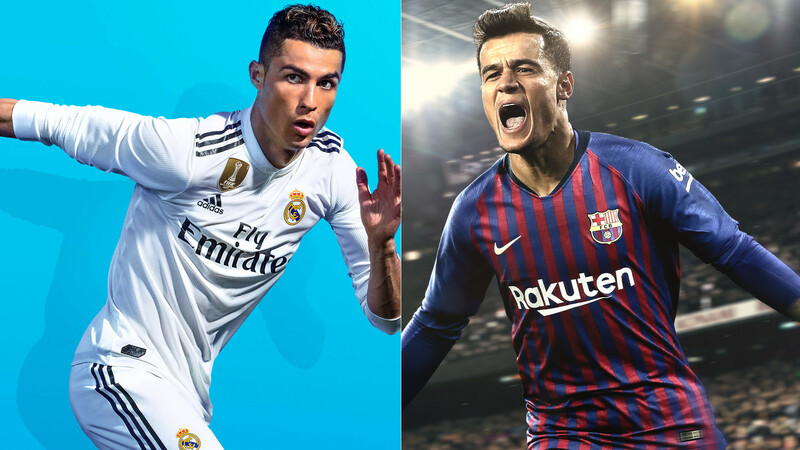 'FIFA 19' and 'Pro Evolution Soccer 2019' review: Which game lifts the virtual trophy this year? As the only sport that features true competition in the video game genre, soccer fans have a pair of excellent options to choose from every year. The EA Sports ‘FIFA’ series stands annually as the biggest selling video game franchise worldwide. ‘Pro Evolution Soccer’ from Konami also reaches a considerable audience in certain regions of the globe. Both games have good reputations with consumers and reviewers, but they do find themselves with their own respective strengths and weaknesses. This year ‘FIFA’ has stepped its game up while ‘PES’ remains a champion in its own right. It has become a broken record of sorts when reviewing these two games annually, but licensing is an important factor and one in which saw the gap widen between the two even further this year. ‘FIFA 19’ has a stranglehold on critical official licenses, like that for the Premier League, La Liga, Bundesliga, and Major League Soccer. This year the series made a big splash by adding exclusive rights to UEFA Champions League and Europa League. EA Sports made the wise decision to introduce ‘FIFA 19’ by opening up the game with a Champions League experience that accentuates its impressive presentation and atmosphere. The contrast when going from unlicensed and generic teams, stadiums, and crowds in ‘PES’ to the licensed fully-represented authentic representations in ‘FIFA’ is startling. ‘FIFA 19’ utilizes those licenses well throughout its various modes. Both games provide terrific gameplay experiences and really the “better” one will simply come down to personal preference. In recent years ‘PES’ has been seen as having an edge on the pitch by those who have heavily sampled both series, which helps to compensate for deficiencies it has elsewhere. Once again ‘PES’ has managed still to improve with incredibly smooth, free-flowing gameplay, and has seemed to reduce some areas of past frustration. Fouls are more commonly called, the ball feels live, goalkeepers perform better, player skill differentiation has increased and fatigue plays a bigger role both visually and under-the-hood. ‘FIFA’ however, seems to have made a bigger single-year leap in its gameplay. Player awareness has improved dramatically and there is more creativity from the CPU while also occurring organically for the user in their play. The ball also feels unpredictable in all the right ways. There is some concern that fouls aren’t being called enough however, though that may go back many years to the animation system that creates some collisions that look really wicked and are ignored by the officials. No matter which game is on hand playing, it will prove fun and satisfying. Tactically the two differ somewhat but there is no going wrong with either one of them. Within the sports gaming genre only the ‘NBA 2K’ series packs in more content than ‘FIFA’ and the series has consistently executed all its features exceedingly well. There are numerous directions someone can go based on individual interests, personal skill level and knowledge of the sport. Beginners will find comfort in its ‘Skill Games’ and ‘Story Mode’. Head-to-head play is strong with both the online and offline modes, and those looking for a deeper experience will find it with ‘Ultimate Team’ and ‘Career Mode’. The first thing that is generally suggested when beginning to play ‘PES’ is to change the control scheme from the default to its second option which replicates the one used in ‘FIFA.’ On the PS4 (but not possible on Xbox One) files need to be sought out and loaded into the game to fill some of the licensing gaps. Those factors – and they’re not the only ones – say a lot about the standing ‘PES’ has from a perception standpoint. It’s the alternative in the minds of many and has to find a way overcome its initial drawbacks. Fans have lamented the lack of effort being put into the long-running traditional modes in many sports games, and that’s definitely held true of both soccer offerings here. ‘Career Mode’ (FIFA) and ‘Master League’ (PES) have seen only minimal changes and those largely regard license integration and minor tweaks to systems that were already in place. These modes, while staples that many fans have come to rely upon, have ceded way to revenue-generating modes both in terms of popularity and development resources. While ‘FIFA’ has its incredibly popular ‘Ultimate Team’, ‘PES’ presents ‘MyClub’ which bucks the traditional method of player acquisition (through card packs and marketplaces) and instead utilizes scouts to go out and hopefully find those valuable players to add to the roster. ‘FIFA’ is stronger in terms of content in its money-making mode, but the approach ‘PES’ takes is somewhat refreshing and immediately unique, and that helps to differentiate itself from the competition. It’s also worth noting that a free-to-play edition of ‘PES’ typically follows in November which is centered on ‘MyClub’. That can be a good way for those uncertain about the series to get a feel for it without having to commit to a full purchase, which is what publisher Konami hopes will help bring new players on board. The best new way to play in either of the games comes with the additions to ‘Kick-Off Mode’ in ‘FIFA 19.’ A long forgotten staple of sports video games, the basic play-now match has a new spin with unique rules sets that can be applied. Among the six different options are “Survival” where every time a team scores they lose a player for the rest of the match, and “No Rules” where everything from rough tackling to offsides are ignored by officials. It’s just unfortunate that they are only playable offline. The other major mode offering something completely new comes with the third season of “The Journey” story mode. The three years put into “The Journey” have paid off with the culmination of not just Alex Hunter’s story but also his half-sister Kim and friend Danny. All three characters have their own playable arcs. Decisions and customization made in the previous two games even carry over. It’s an impressive conclusion that works on all levels. ‘PES 2019’ feels as though it continues to tread water for the series. The gameplay experience is brilliant and that alone makes it worthwhile for any soccer fan, but the lackluster feature set and missing licenses complicate its approachability. ‘FIFA 19’ has pulled everything together to become the total package. It offers the expansive feature set and teriffic presesentation that the series has become known for, while also delivering on more dynamic and satisfying gameplay. ‘FIFA 19’ was reviewed on an Xbox One X and ‘PES 2019’ on a PlayStation 4. A digital download code was provided by the publishers for the purpose of review. Bryan Wiedey posts sports gaming news and analysis daily at Pastapadre.com, is co-founder of the sports gaming site HitThePass.com, hosts the “Press Row Podcast” and can be reached on Twitter @Pastapadre .